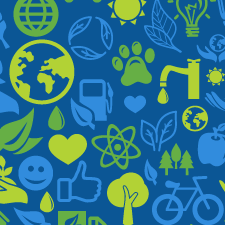 ESG investing resists a precise definition, but it’s used as an umbrella term to refer to an investment strategy that emphasizes a firm’s governance structure and the social and environmental impact of its products. For example, an ESG investment strategy might avoid a fossil fuel or tobacco company and favor a solar energy company with a pro-investor management structure. It might also seek voting shares in favor of pro-labor or pro-environmental corporate policies, such as requiring climate change reports. ESG investing finds its roots in the socially responsible investing movement that came to the forefront in the 1980s as part of a divestment campaign aimed at South Africa’s apartheid regime. Other appellations for the practice include ethical investing, economically targeted investing, sustainable investing, and impact investing. This investing strategy has since become well established among global institutional investors and is beginning to take hold in some aspects of the defined contribution world and qualified plan space more broadly. There must be a relationship between ESG factors and firm performance. The capital markets must not already accurately price the relationship between ESG factors and firm performance. The core ESG factors fall within good and bad social factors. Bad social factors include unhealthy products and poor labor practices; good social factors include a strong compliance record on environmental and labor regulations. These claims are placing increasing pressure on fiduciary investment managers to consider ESG factors in their investment decisions. A 2017 Callan Associates survey found that after a recent surge, 25 percent of U.S. corporate defined benefit pension plans had adopted ESG investing, as had 35 percent of public funds. While many institutional investors have embraced ESG investing, the uptake in the 401(k) market is still small, with only 12 percent of plans making ESG options available and 3 percent of participants using them. ESG is very popular among individual investors, however, making up one-third of the $8.7 trillion invested sustainably in the U.S., according to Callan. What Does the DOL Think? The DOL has issued four rounds of interpretive bulletins (1994, 2008, 2015, and 2016) as well as a field assistance bulletin (2018), all of which address the legality of ESG investing by fiduciaries of pension and retirement accounts. Each subsequent round has sought to clarify the preceding round and allow for more transparent guidelines. The common law duty of loyalty requires a fiduciary to consider only the interests of the beneficiary. For that reason, the potential for tension between an ESG investing strategy and the duty of loyalty has impeded many fiduciaries from adopting ESG investment strategies. Under the ERISA guideline for prudent selection, however, ESG funds can be evaluated alongside other competing fund alternatives. (The most recent DOL bulletin provides some clarity around how plan fiduciaries can implement ESG investments within the confines of ERISA qualified plans.) The primary investment guideline for ERISA fiduciaries continues to be prudent selection of well-diversified funds with reasonable risk-reward tradeoffs, and the ESG funds should follow the same fiduciary investment due diligence process. Any investment strategy implemented by a fiduciary must be consistent with both the duty of loyalty and the duty of care. The legality of an ESG investment strategy therefore rests on both the fiduciary’s motive for employing the strategy and the expected risk-return of the strategy in relation to the objectives and demographics of the plan beneficiaries. Prepare a documented fiduciary investment due diligence process. Articulate the specific ESG principles and factors at play. Determine how these factors improve the risk-return profile of the strategy versus a non-ESG investment option. The fiduciary believes that the strategy will benefit the beneficiaries directly by improving risk-adjusted returns. The fiduciary’s exclusive motive for adopting the strategy is to obtain the direct benefit. Like any active investment strategy, a risk-return ESG investment program must be supported by a documented analysis showing a reasonable basis for the belief that expected returns will counterbalance any diversification or transaction costs. For fiduciaries who do not want to include ESG funds in the due diligence process but still want to offer ESG options, the best solution is to add a brokerage or mutual fund window to the plan. This allows participants to direct assets to ESG funds and relieves fiduciaries of direct ESG oversight. As always, ensuring that an investment approach meets the objectives of plan sponsor clients and the needs of qualified plan participants is most important. Offering ESG-focused funds can help the right investors contribute to and benefit from the growth of socially responsible investing while furthering the mission of companies with which they share ideals. Try gauging your clients’ interest and see if ESG investing might be a new area of opportunity for the qualified plans you manage. Are your clients interested in socially responsible investing? Have you encountered challenges in trying to incorporate ESG investing into your qualified plan lineups? Please share your thoughts with us below!